It was seismic news when At the Gates announced their reunion in 2007 along with a string of high profile festival performances, leaving many a fan licking their lips at the prospect of a long-due successor to the band’s iconic 1995 album, “Slaughter of the Soul”. 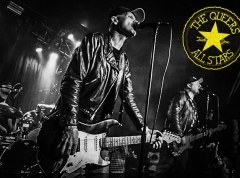 The wait was long and arduous, and while “At War with Reality” did not turn out to be a game-changer on par with its big brother, the general consensus was one of delight that the Gothenburg legends had stuck to their guns and avoided straying very far from the melodic style of death metal for which they were and still are revered. 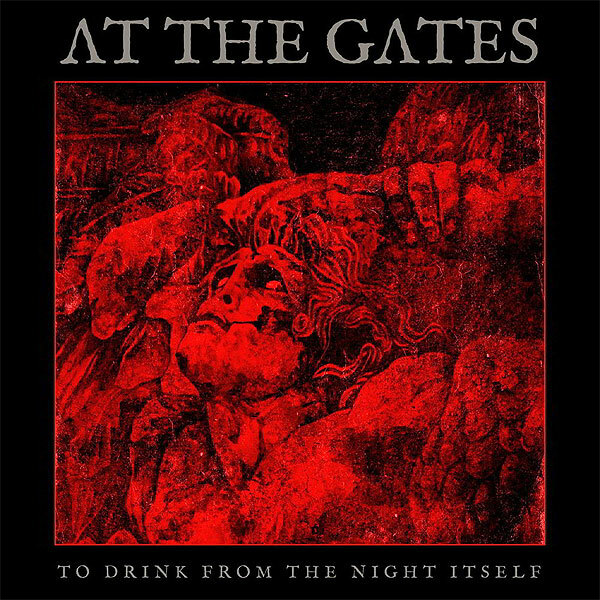 It was a convincing return, one which left me with an appetite for more, and a belief that At the Gates might yet reach another peak in their career come the next album. 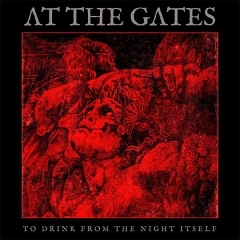 That belief grew stronger when the band announced that this sixth and latest offering, “To Drink from the Night Itself”, had a relationship to their equally important, if somewhat less influential début album, 1992’s “The Red in the Sky Is Ours”, in terms of both tone and theme — although the specifics of that relationship were deliberately obscured, presumably in order to build a sense of mystery and anticipation around it. But after the symphonic intro piece, “Der Widerstand”, has built up further tension and the titular track has taken over, one realises that there is very little connecting At the Gates anno 2018 to their earliest roots. The eerie, hellish sound of the band’s début remains in the past, while “To Drink from the Night Itself” deploys the same despondent tone and buzzing staccato riffs as its predecessor did four years ago, and thus aligns itself more with “Slaughter of the Soul” than any of At the Gates’ first three records. Given the recognition that the 1995 album garnered posthumously, it is easy to understand why the band would want to use it as the foundation for their future endeavours, yet as the euphoria surrounding their return has begun to wane, there is a growing number of fans hoping for At the Gates to start boosting rather than simply reaffirming their legacy during this second coming. Alas, it is hard to identify a desire to do so in any of the twelve songs that comprise “To Drink from the Night Itself” and as a result, none of them really succeed in resonating with me, even if the general standard of the music is, as expected, kept high throughout. The trouble is that lead guitarist Martin Larsson seems to be too set in his ways for At the Gates to be able to expand upon their soundscape, while Jonas Stålhammer (who replaced longtime guitarist Anders Björler in 2017) seems to lack the confidence to bring his own creative influence to the table as of yet. Fans will thus feel right at home during the likes of “A Stare Bound in Stone” and “Palace of Lepers”, both of which ride on an excellent groove, distill their main riff from profuse palm-muting and weave together evocative Nordic melodies in the classic Gothenburg style. The latter song also provides one of the standout moments on the record when it unfolds into a melancholy crescendo toward the end, and is then followed by another highlight in “Daggers of Black Haze” — the most dynamic of the lot. After enlisting a dramatic piano soliloquy as its introduction, this temperamental piece is tugged between a soaring, elegiac lead, periods of muffled glumness made all the more lugubrious by vocalist Tomas Lindberg’s unique, afflicted style of growling, before it comes crashing down with a crawling and incredibly emotive finale. But while these songs — and indeed also the blistering “In Death They Shall Burn”, with its thrashier take on melodeath — sweeten the overall experience of the album, ultimately both the rigidity of the songwriting and the narrow spectrum of riffs that Larsson & Stålhammer brought to the rehearsal space turn “To Drink from the Night Itself” into a grey mass from which nothing truly stands out in the way that classic songs like “Blinded by Fear”, “Slaughter of the Soul” and “Nausea” did in their time, and still do today. The good news is that nothing falls completely flat either, resulting in a palatable and at times even quite satisfying slab of melodic death metal played the traditional way. But if At the Gates hope to stay relevant, there is a pressing need for fresh ideas to be incorporated into the group’s core sound on future releases.